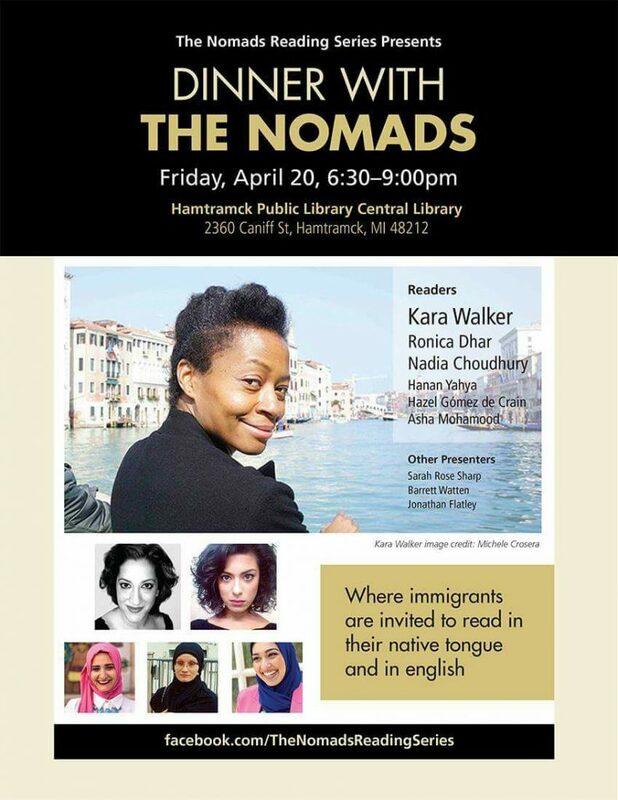 Really very excited to be the humble emcee for this NOMADS Reading Series event featuring Kara Walker. I’m looking forward to introducing a whole coterie of people with smart and beautiful things to say in their native languages. I will be endeavoring, as usual, not to say anything dumb. WISH ME LUCK! !